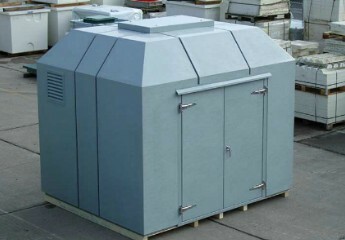 GRP Housing and Biofilters Supplier Incl. Delivery & Installation, Call Now! 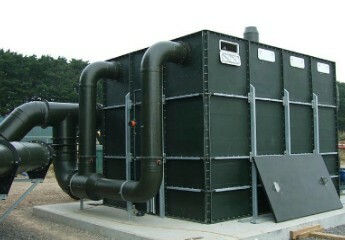 Dewey Waters is a GRP housing and biofilter supplier in the United Kingdom. 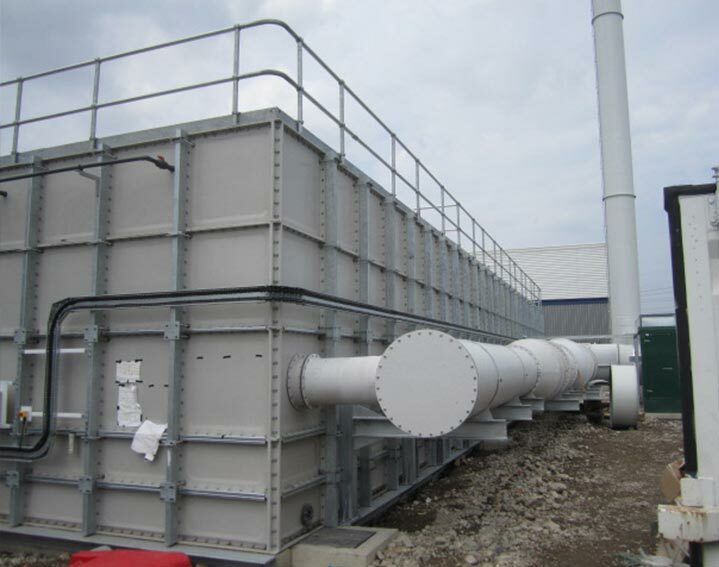 Dewey’s have developed its biofilter housing over many years to create an airtight unit to house various types of media for pollution control. 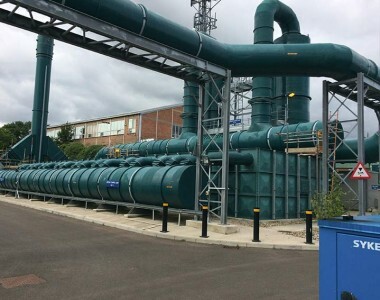 We offer a full manufacture and installation service which is demonstrated with examples of projects in Pen Mill, Yeovil and London’s Sustainable Industries Park, Dagenham. Smaller housings can be supplied on a skid mounted frame to reduce the working time on site if required. Our hot press moulded panels can be supplied as 1000 series metric 1m x 1m panels or 1200 series 1.22m x 1.22m panels. The larger 1200 series panels can help to speed up the installation time on site as well as allowing for larger inlet and outlet ductwork. All manufactured and designed exclusively by Dewey Waters in the United Kingdom. All housings are made to order and as such can be tailored to suit your individual requirements. The hot pressed moulded manufacture process gives our panels a smooth finish internally and externally. The specialist internal tie bar design minimises air voids within the media which makes the overall unit more efficient. We include side access manholes in all housings to alleviate the risks of working within confined space. Our housings are suitable for up to 4000 Pa (Pascal) negative load, wind load, media weight and our roofs will sustain loads of 0.75 kN/m2. All products are made to ISO 9001:2008 and BSEN 13280:2001 quality standards. Internal plenum floors, made from GRP grid, or we can fit free issue flooring when we build the housing. Twist off handholes/inspection ports on the roof to aid maintenance of internal fittings. The lid panels can be supplied flat, or domed to encourage rainwater run-off. Large multi-panel lift-off sections for ease of filling and removing media. Non-slip coating to lid panels for safe maintenance access. Specialised base materials for supply and install where the concrete base does not meet the required British Standard tolerance, 2mm in any 1m, 6mm over 6m laterally or diagonally. Guardrail, kick plate, infill mesh, swung gates and hooped ladders can be supplied in galvanised or aluminium where specified. Specialist marine grade coatings are available for external steelwork. Our housings (depending on size) are available in a range of colours from the BS5252 or RAL colour charts ensuring our units are suitable for any location. Dewey Waters is an accredited & certified GRP water tank manufacturer. We pride ourselves on operating to the highest professional standards. 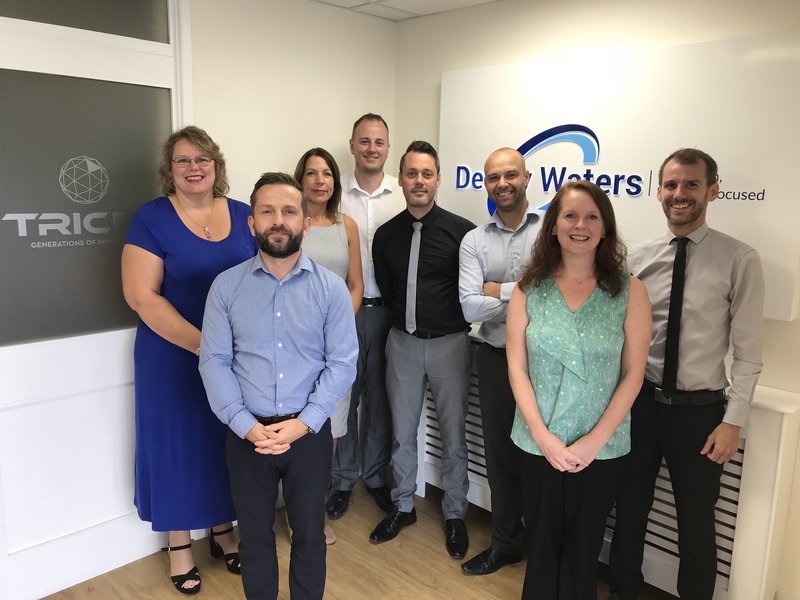 We are committed to supplying our customers with genuine market-leading, high-quality products, and always strive to provide the most appropriate solutions to fulfil clients’ needs. Our product range and manufacturing processes are continually updated and optimised to ensure that we offer the most up-to-date products and services – improvements which are driven by a combination of legislative change, fluctuating market forces and consumer demand. To ensure consistent levels of product quality, we regularly monitor our procurement and usage of raw materials, whilst also striving to adopt the most efficient production methods – using natural resources in all of our manufacturing processes where possible. 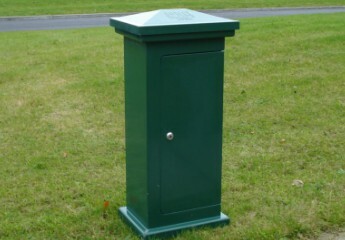 Manufacturing and installing GRP housing, biofilters, kiosks and cabinets throughout the United Kingdom. The hot pressed moulded manufacture process gives our panels a smooth finish internally and externally. Convenient housing solutions, featuring high-quality components such as stainless steel hinges and locking mechanisms. 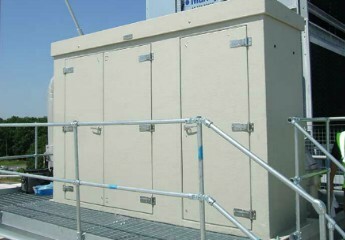 GRP Cabinets may be supplied fully kitted or as an empty shell dependent upon customer preference. We can tailor the product to suit virtually all requirements and site/planning restrictions. Suitable for the storage of various types of media and are available in metric and imperial panel sizes.